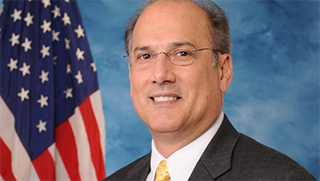 Tom Marino has served Pennsylvania’s 10th congressional district since he took office on Jan. 5, 2011. Serving on the House Foreign Affairs Committee, the Committee for Homeland Security, and the House Judiciary Committee, Tom works to find common-sense solutions to serious problems. Aside from committee work, Tom is involved with a number of congressional caucuses, and serves as Co-Chairman of the Cystic Fibrosis Caucus, Congressional Kidney Caucus, and the Congressional Caucus on Foster Youth.